What is Posid (Etoposide) used for? 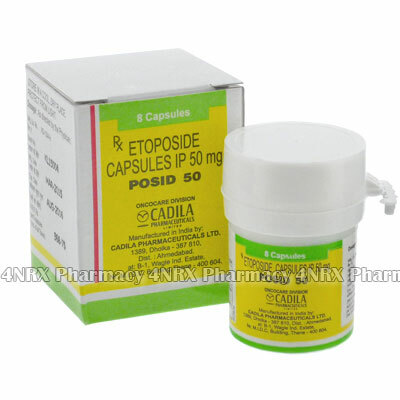 Posid (Etoposide) is an oral cancer medication prescribed to treat patients suffering from lung cancer. It is commonly used in the event that other chemotherapy medicines have proven ineffective. The medication operates by preventing the spread and size increase of cancer cells by interfering with their growth. Your physician may also prescribe it to treat other unlisted conditions. How should I use Posid (Etoposide)? Take Posid (Etoposide) strictly as directed by your physician, with or without food. Do not alter your dose or suddenly stop taking it without consulting your physician, even if you are feeling better. If you do, your symptoms may get worse and increase the onset of unwanted side effects. If you forget to take a dose, skip the missed one and continue with your regular schedule. Never take a double dose to make up for the one you missed. What are the side effects of Posid (Etoposide)? If you experience any of these symptoms, contact your physician immediately or seek emergency medical treatment. Tobacco, certain foods, and alcohol may interact with Posid (Etoposide), so discuss with your physician your use of these substances while taking this medication. Tell your physician if you have a history of drug or alcohol problems, bone marrow disease, kidney disease, blood conditions, and depression.